The parties involved in the massive legal battle surrounding the copyright claim for "Happy Birthday to You" have arrived at a settlement, meaning the song will now soon be in the public domain. The trial, which was scheduled to begin 15 December, has been suspended in a judge's order acknowledging this shift in the situation. The original lawsuit was launched in 2013, when a film company producing a documentary about the song demanded a refund on the £1,500 licensing fee paid to the former holders of the copyright, Warner/Chappell Music. The class action essentially surrounded the issue of whether a copy of The Everyday Song Book, printed in 1922, published the song without a valid copyright notice, meaning it would exist in public domain. The song originates from 19th century schoolteacher Patty Smith Hill and her sister Mildred Hill, though the first claims to copyright came from the Summy Company in a 1935 book, who were eventually acquired by Warner/Chappell Music for the sum of $25 million. In September, a federal judge ruled that Warner/Chappell Music had never acquired valid copyright to the song's lyrics through the purchase, only to the specific piano arrangement. Happy Birthday Alternatives in Film and Television from Free Music Archive on Vimeo. However, the music publisher attempted to argue against the ruling and called for the judge to reconsider his judgement over the validity of the 1935 copyright. Things got even more messy when the Association for Childhood Education, co-founded by the 19th century teacher who originated the song, waded into the proceedings to claim it may be the real owner of the copyright. A trial would have examined this, but it now seems as if all parties have resolved their issues, though no terms of the deal have been released. A spokesperson for Warner/Chappell commented, "While we respectfully disagreed with the Court's decision, we are pleased to have now resolved this matter." Though it's not been officially declared as so, it does appear as if "Happy Birthday to You" currently exists in the public domain. Meaning all your favourite TV and Movie characters can once more actually sing "Happy Birthday to You", instead of some weird made-up song like "Happy Day Fun Times Birth". The song is currently the Guinness World Record holder for most popular song in the English language; reportedly collecting up to $2 million a year in licensing fees. Bruce Springsteen is working on a solo album without his E Street Band. Iggy Pop and Adam Ant will mark 40 years of punk at The Isle of Wight Festival 2016. 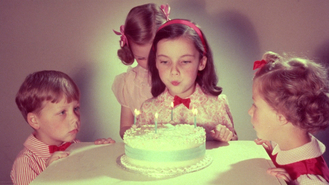 'Happy Birthday' song back in the public domain. Adele has been confirmed to perform on The X Factor final results show on Sunday 13 December. The Weeknd has been sued for copyright infringement for using a sample on his smash hit 'The Hills'. CeeLo Green insists his drug charges were "blown out of proportion". Lionel Richie claims he 'contacted his lawyers' over Adele's song 'Hello'. Amy Poehler and Tina Fey are like "sisters". Justin Bieber has announced the UK leg of his 'Purpose World Tour'. Noel Gallagher teased his fans were "freeloaders" during his acoustic set for BBC Radio 2 on Monday night (07.12.15).